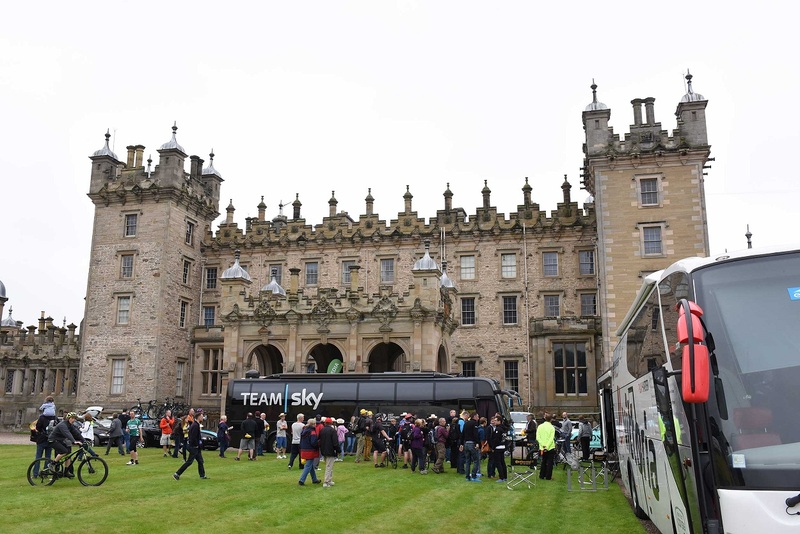 Elia Viviani of Team Sky took his second victory in three days at Kelso in the Scottish Borderlands, beating Movistar’s Juan José Lobato to the line in the shadow of Floors Castle. The win is Sky’s 200th victory since the inception of the team back in 2010. Despite missing out on the stage win, Lobato took over the race lead after Etixx-QuickStep’s Petr Vakoč crashed just outside the 3km to go mark, only a day after taking over the yellow jersey. The Czech rider looked to be nursing an injury to his left hand as he rolled in ten minutes after Viviani, with teammate Fernando Gaviria at his side. At the time of publication it is unknown whether Vakoč will continue tomorrow. A six-man break went away within the first 20km, with Tyler Farrar (MTN-Qhubeka), Matt Cronshaw (Madison-Genesis), Marcin Białobłocki (One Pro Cycling), Aidis Kruopis (An Post-ChainReaction), Johnny McEvoy (NFTO) managing to get away. 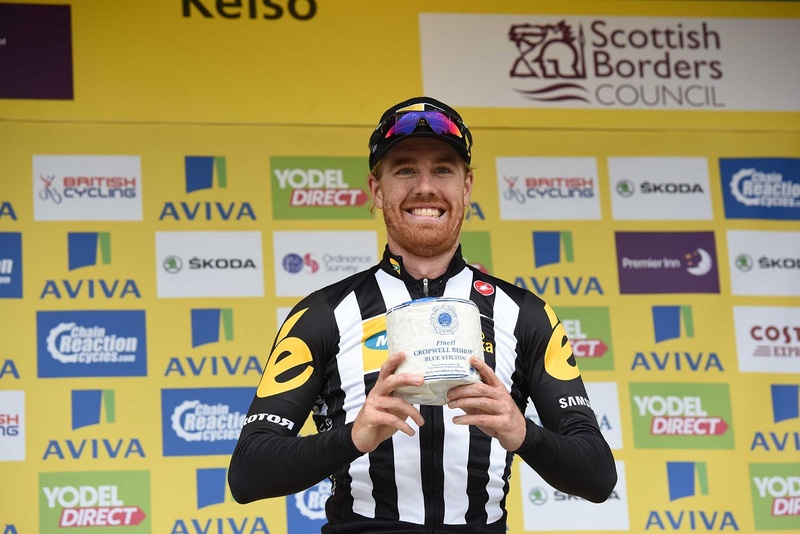 For the most part it was a rather standard day of racing, though Tyler Farrar sprinting for mountain points raised a few eyebrows. 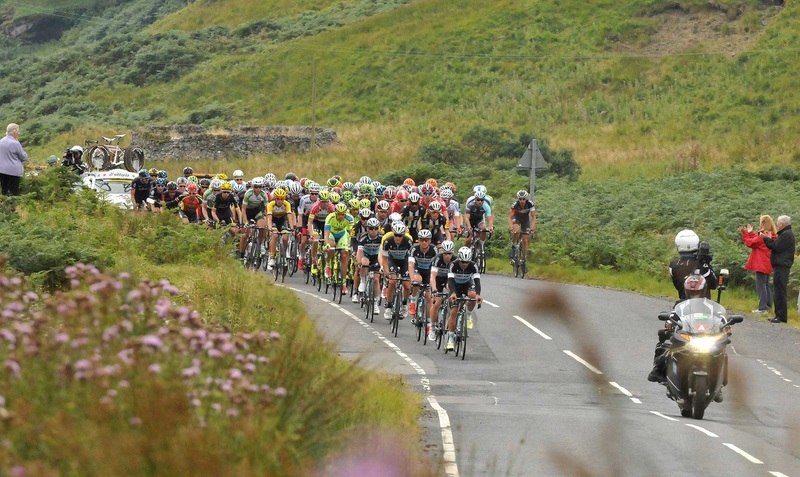 Six minutes was the break’s maximum lead, before the sprinter’s teams started their work at the front of the peloton. On the descent of Wilton Hill, the second category climb with 40km remaining, the lead group was slimmed down to three. Farrar, Cronshaw and Białobłocki were the lucky trio, pushing onwards to the finish. It wasn’t to be for the break though. Their lead started to evaporate as Lotto-Soudal and Cannondale-Garmin took on the majority of the pace-setting on the run-in to the finish of the 216km stage. With 3km to go, they were caught and it would come down to a fight between the fastmen. André Greipel was surprisingly leading out for teammate Jens Debusschere but the Belgian was swamped in the final metres, as IAM’s Sondre Holst Enger sped past with Viviani on his wheel. 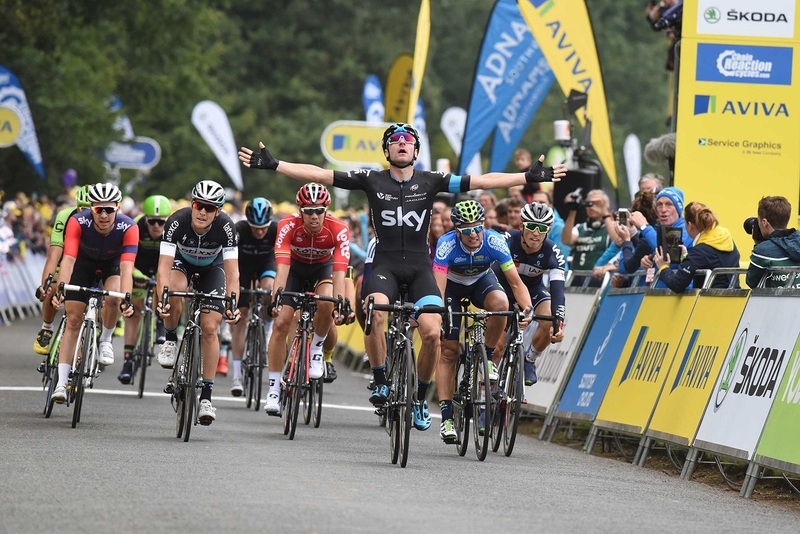 The Italian timed his sprint to perfection, easing over the line ahead of Lobato and Matteo Trentin (Etixx-QuickStep).